Scrum is a structure for effective software development. 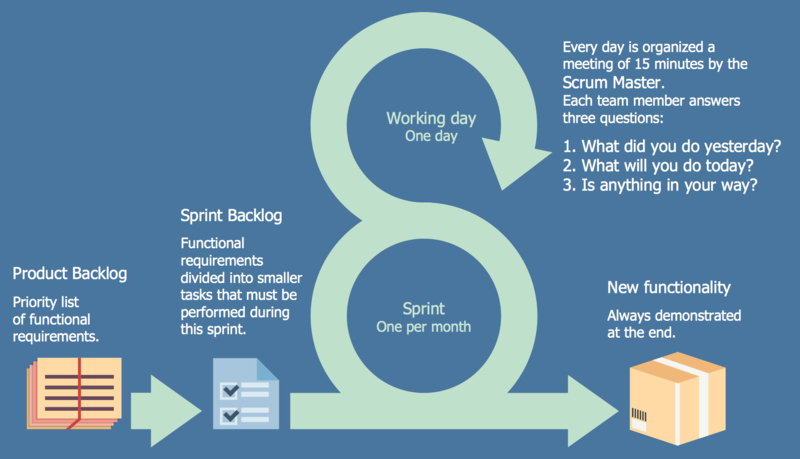 Adjusted for about 10 workers, scrum is based on timed development cycles called “sprints” and on short daily stand-up-meetings where current tasks and roadblocks that need clearing are discussed. Versions for bigger organisations contain “Large-Scale-Scrum” and “Scrum of Scrums”. Simply put, Scrum is a method for managing projects that allows for quick development and testing, especially within a small team.